Alarm.com, the leading platform for the intelligently connected property, won Security Product of the Year at Consumer Technology Association’s Mark of Excellence Awards for its new Smart Signal feature. Smart Signal enables Alarm.com subscribers to signal their monitoring station directly from their Alarm.com mobile app, enabling faster response and reducing false alarms. The award recognizes the best product designed to secure or enhance the security of residential properties, and was presented at CES 2019 – the largest and most influential tech event in the world. Smart Signal is an in-app emergency signaling feature that enables a property owner to communicate critical information directly to their property’s monitoring station from their smartphone. 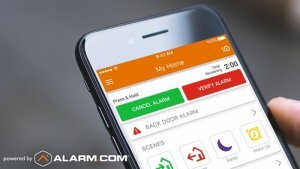 Using their Alarm.com mobile app, property owners can trigger a panic alert notifying security professionals that they need help at their home or business, verify an alarm event to expedite emergency response, or cancel a false alarm from anywhere. Monitoring stations can use real-time information from Smart Signal to dispatch police, fire, or emergency medical services to properties faster, respond to a wider range of emergencies, and reduce false alarms. Smart Signal gives Alarm.com’s service provider partners another innovative and differentiated feature that enhances the overall value of professional monitoring services and allows them to address consumer concerns about false alarms. Smart Signal is available now. Subscribers should contact their service provider to request Smart Signal. 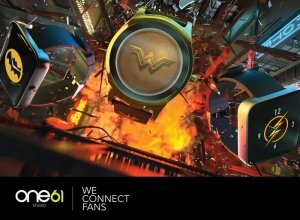 One61 Studio, known for its fully-licensed, pop-culture inspired and tech-driven products, connects users with the brands they are truly passionate about with reimagined wearable technology. Backed by licensing giant, Bioworld Merchandising, One61 debuted new smartwatches, smart wallets and powerful backpacks in new licensed designes with Harry Potter, Rick & Morty, Fallout and DC Comic Heroes at CES 2019. Compatible with all iOS and most Android devices, One61 expands their cult favorite smartwatch line with three new styles: Fallout, Rick & Morty, and Harry Potter, debuting early 2019. Each unique design offers fans an immersive experience within each storyline. Join Rick & Morty on their infamous adventures through the Smartwatch Dimension with integrated features and functions to get Schwifty. Bring Pip Boy into the 21st century with the all new Pip-OS V1.0.1, and explore the magic and mystery of Harry Potter. Each device is crafted using premium, splash-resistant materials and includes a charging base, micro USB cord, downloadable App, and quick start guide. The next evolution of One61 introduces a refresh in the brand’s tracker technology: FoundMi. Synced via Bluetooth and the Foundmi app, attach your Foundmi character on commonly misplaced items like phones, keys and tablets to reverse track their last known location. Launching with an exclusive 8-piece Harry Potter collection featuring iconic characters like Harry, Ron, Hermione, and more, Foundmi expands their tracking technology to its new line of Smart Wallets equipped with card detection, drop alert, and wallet location functions. Providing a cohesive integration of all products, One61 launched their Powered Backpacks to keep users connected and charged on the go. Each backpack is equipped with a charging station, USB ports, and roomy compartments for organization. Designed with the tech-savvy user in mind, each Powered Backpack lights up with the touch of a button at three different speed settings. Choose from Batman, Wonder Woman, or The Flash, to sport a Backpack of the future. The One61 Smartwatches retail for a starting cost of $150, Smart Wallets for $59.99, Foundmis for $24.99 and Powered Backpacs for $150. Sunday, the Smart Object that fights social isolation by sharing photos and videos with the offline generation, was on display at CES 2019. It is a smart object capable of sending photos instantly to any TV from anywhere in the world. This solution bridges the technological and generational gap while connecting grandparents to their families without using social media or complicated to connect devices. The concept is simple: Plug Sunday into any TV’s HDMI port. Start sharing photos and videos to the TV using the web or mobile app. Make your grandparents smile! The offline generation will not only love the painless installation process, but also the easy to grip Sunday Remote with only eight buttons and icons made with aging eyes in mind. Being connected to others socially is widely considered a fundamental human need – crucial to both well-being and survival. Social isolation and separation is growing epidemic – one with physical, mental and emotional consequences. Since the 1980s the percentages of American adults who say they’re lonely has doubled from 20% to 40%. Approximately 42.6 million adults over age 45 in the U.S. are estimated to be suffering from chronic loneliness, according AARP’s Loneliness Study. About 1/3 of adults older than 65 now live alone, and ½ those over 85 do. It’s Sunday’s mission to help people maintain bonds where they’re fading and create ones where they haven’t existed! Each Sunday purchase includes: 1 Sunday App, 1 Sunday Box, and 1 Sunday Remote. It is now available in the U.S. at Sunday’s website for $149.00 MSRP. Pindrop, the pioneer in voice security and authentication announced at CES 2019 the launch of its Voice Identity Platform to extend its proven enterprise-grade technology beyond the call center and into the Internet of Things (IoT), voice assistants, smart homes and offices, and connected cars. The company is bringing its proven proprietary Deep Voice biometric technology, trusted by eight of the ten largest banks and five of the seven largest insurance companies, to several new key market sectors. Pindrop won the IHS Markit Innovation Award for Smart Homes & Appliances at the Showstoppers event at CES 2019. Smart home security vendors rely on with pincodes and companion mobile apps for for sensitive transactions. This results in high friction and poor user experience especially for accessibility related use cases. These issues and concerns have resulted in a slow adoption of voice technology in the smart home industry. Having secured more than one billion voice transactions a year for global Fortune 500 enterprises in some of the most at-risk environments, Pindrop’s relationships with international IoT leaders and manufacturers, such as Allegion, put it in a good position bring secure, voice-based access to IoT devices like smart locks. Pindrop will provide a new level of peace of mind, security and access to the millions of customers using connected devices. Pindrop’s Voice Identity platform exposes developer friendly APIs to voice application builders who are looking to add strong, frictionless security to any voice platform such as Alexa Skills, Google Actions, Cortana Skills, Bixby and more. Today, consumers who interact with their bank, brokerage, or their smart home through voice-enabled devices are forced to remember and speak 4-digit confirmation codes before proceeding with sensitive transactions. With Pindrop, developers can now deliver feature rich, frictionless, high-value transactions for their voice applications with multi-factor identification technology. Speech recognition is becoming increasingly common in connected cars; however, existing technologies lack enterprise grade security and authentication capabilities, which hampers and erodes consumer confidence regarding sensitive voice interactions in vehicle. To address this, Pindrop is partnering with several of the largest global automotive manufacturers, to provide a personalized and secure voice-enabled experience for drivers. Smart office communication technology providers such as Zoom, Plantronics, Cisco and Polycom are quickly developing the workplace of the future, enabling a workforce that can connect, share and collaborate from anywhere all with the power of their voice. Leveraging the world’s first end-to-end deep neural network-based speaker recognition technology, Pindrop now provides security for shared devices, making it possible for enterprises to deploy smart office capabilities that are truly secure. 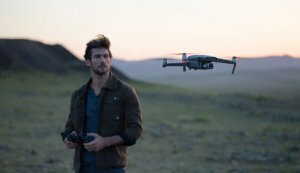 DJI, the world’s leader in civilian drones and aerial imaging technology, continues its tradition of making aerial technology accessible to everyone by introducing a powerful new remote controller for its drones at CES 2019. The Smart Controller features an ultra-bright display screen and controls optimized for DJI drones, allowing pilots to fly the newest drones without using a smartphone or tablet. DJI will also be exhibiting its full lineup of consumer drones and handheld imaging products at CES 2019, including the new Osmo Pocket stabilized camera, and will host exciting workshops, hands-on product demonstrations, and more. The DJI Smart Controller expands the ecosystem of accessories built around DJI’s industry leading drone technology. Using a crisp 5.5” screen built into the controller itself, the Smart Controller allows pilots to quickly get their drone in the air without the need to connect to a mobile device. It can be paired with DJI’s newest drones including Mavic 2 Zoom and Mavic 2 Pro which use DJI’s OcuSync 2.0 video transmission system, displaying vivid images in Full HD resolution. Drone pilots can take advantage of its compact, highly portable design that has been optimized for use in direct sunlight. It features an ultra-bright display with an output of 1000 cd/m2 twice the brightness of standard smart phones. A customizable Android dashboard supports DJI GO 4, DJI Pilot, along with various third-party apps such as editing programs. The DJI GO 4 app also touts several new features including SkyTalk, that allows pilots to livestream the drone’s camera feed to social channels including Facebook, Instagram and WeChat so that anyone can experience the thrill of flying a drone. Another new feature is DJI GO-Share which easily transfers imagery from the Controller to your mobile device. The DJI Smart Controller brings a new level of reliability when flying, with 2.5 hours of battery life and the ability to operate in adverse temperatures as cold as -4° Farenheit. The New Smart Controller will be available for purchase beginning in early 2019 for the retail price of $649 USD. Visit DJI at CES 2019 at South Hall, Booth #25602. Swedish company myFC showcases its products that will release electric cars and smartphones from wall-fettered charging at CES 2019. The products include the LAMINA REX, the JAQ Hybrid, and the LAMINA MAX. LAMINA REX is a fuel cell powered range extender for the automotive market. MyFC initiated the development of LAMINA REX toward the automotive industry in order to solve the limitations of today’s battery technology and to support the electrification of the global car fleet, reducing CO2 emissions globally. At CES 2019, myFC will show a demo of a car component with integrated fuel cells and two convenient ways to charge the car batteries. This demonstration proves how the company’s fuel cell technology can be integrated in small spaces to reduce battery weight and extend driving range with zero tail pipe emissions. 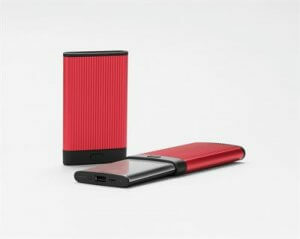 The JAQ Hybrid is the world’s first and smallest portable fuel cell power bank. The power card, micro fuel cell and power management system of the JAQ Hybrid are all under continuous improvement, and at CES 2019, live demonstrations of the latest system will be made. The JAQ Hybrid is trimmed and updated with all the required certifications such as FCC, PSE, IEC and CCC. The JAQ Hybrid system is easy to use and always ready, providing connectivity assurance for the most unpredictable of moments. Single-use power cards containing water, salt and safe reaction components provide green electricity, and charge JAQ Hybrid’s integrated battery, providing convenient, green energy, always. The JAQ Hybrid system has enough capacity to power one smartphone charge, depending on the capacity of the phone battery. It has an output power 5 W and a capacity of 2,700 mAh plus the energy the power card gives. It is compatible with Android, Apple iOS, Windows smartphone, tablets, and USB 5V devices and fully compliant with international air safety regulations. The LAMINA MAX – a deep integration of fuel cells in smartphones – is myFC’s latest offering. This offering provides smartphone manufacturers with a sought-after competitive edge and consumers with power gap relief. The integrated fuel cell, which is still under development, currently builds less than 0.8 mm in the smartphone. Its dedicated PowerCard weighs about 30 grams and provides a full working day mobile activity extension. The reference design will be available for private viewings at CES 2019. Visit myFC at CES 2019 an North Hall, Booth #6438. Olive Healthcare Inc., will promote the Bello belly fat scanner at CES 2019. Bello is the first product to quantitatively measure belly fat based on near-infrared technology. Bello works with its own app to analyze the measured data. Bello helps consumers to measure their own belly fat anytime and anywhere, without having to go to a hospital for a belly CT scan. This has a strongly preventative function, as belly fat constitutes a higher risk factor than just an obesity: recent studies have shown that people with normal BMI and overfat have twice the mortality than those who have obesity or who are overweight. Bello measures the belly fat quantities in just three seconds with a one-button operation. An integrated mobile app analyzes the risk and status of the measured values and presents personalized dietary and exercise guidelines based on big data analysis. Users can manage their belly fat with a healthy habit of constantly using a Bello and its app, creating a healthy and stylish body. At CES 2019, Olive Healthcare has a promotion where they will give a $5 Amazon coupon to those who visited the Olive Healthcare booth and who friended Olive Healthcare on Facebook after measuring belly fat with Bello. This event will be held throughout the CES 2019, and coupons will be limited to 85 people a day on a first-come, first-served basis. Bello will be shipped in 2019. Olive Healthcare plans to provide Bello to customers via Amazon in the third quarter of 2019. 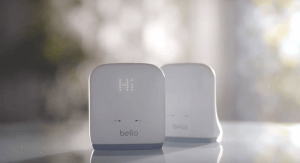 A Bello and its app bundle will cost $249 and will require no additional service charges. Visit Bello at CES 2019 at Sands Hall A-D, Booth #43656.